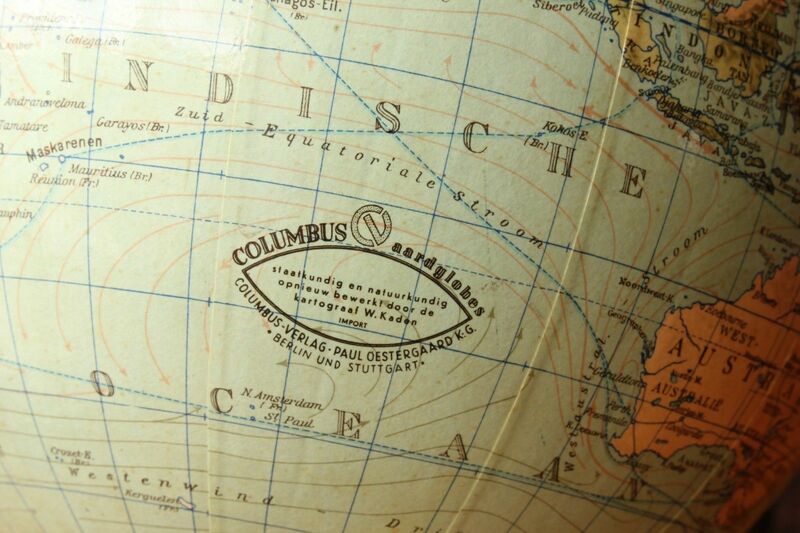 Decorative Vintage World Desk Globe German Columbus Vaardglobes Paul Oestergaard. 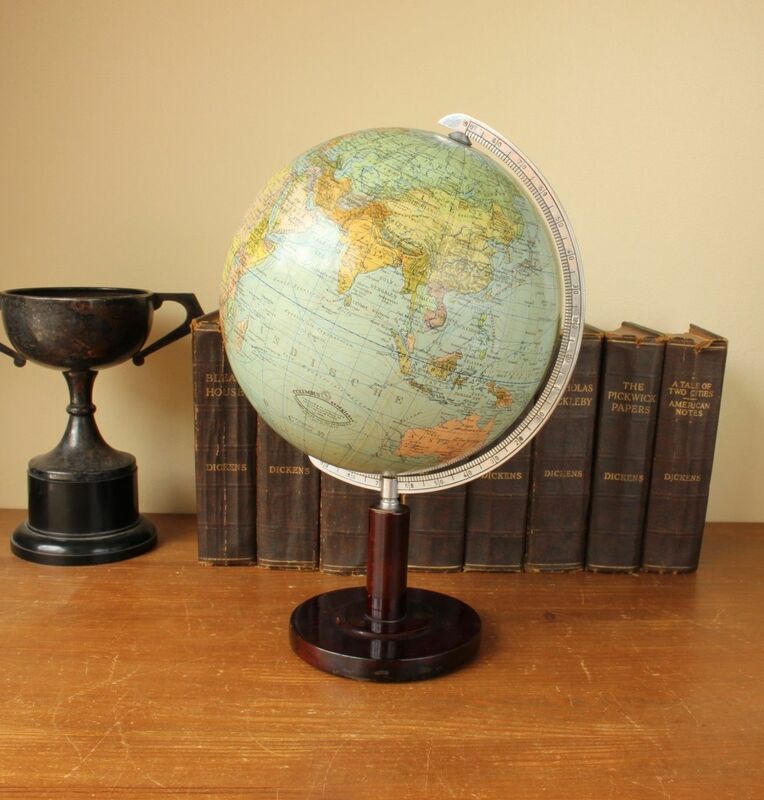 Decorative Vintage World Desk Globe Dutch Columbus Vaardglobes Paul Oestergaard. 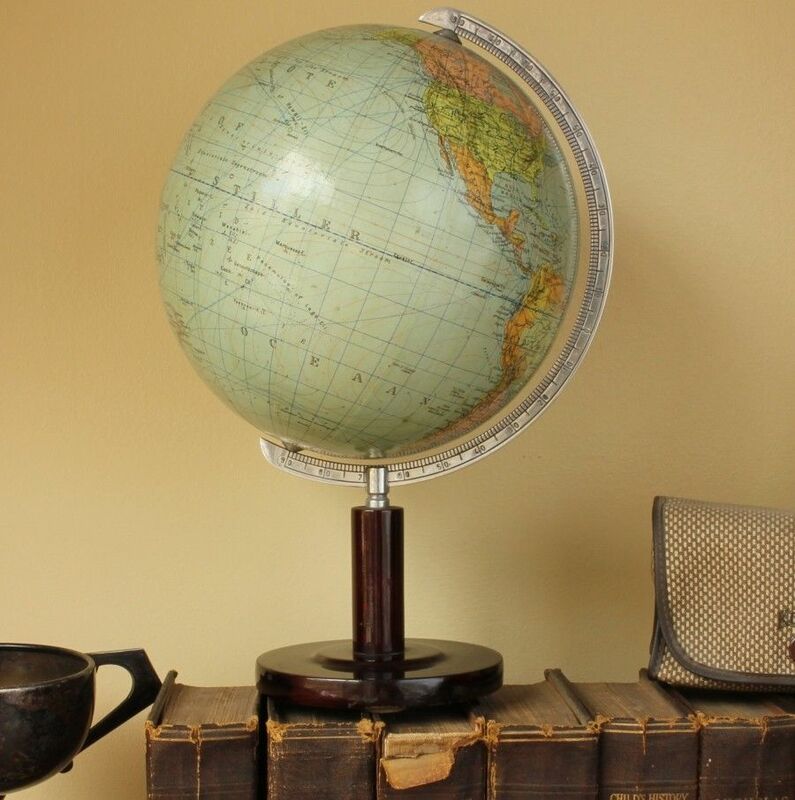 This nice decorative World Desk Globe by Columbus Vaardglobes. 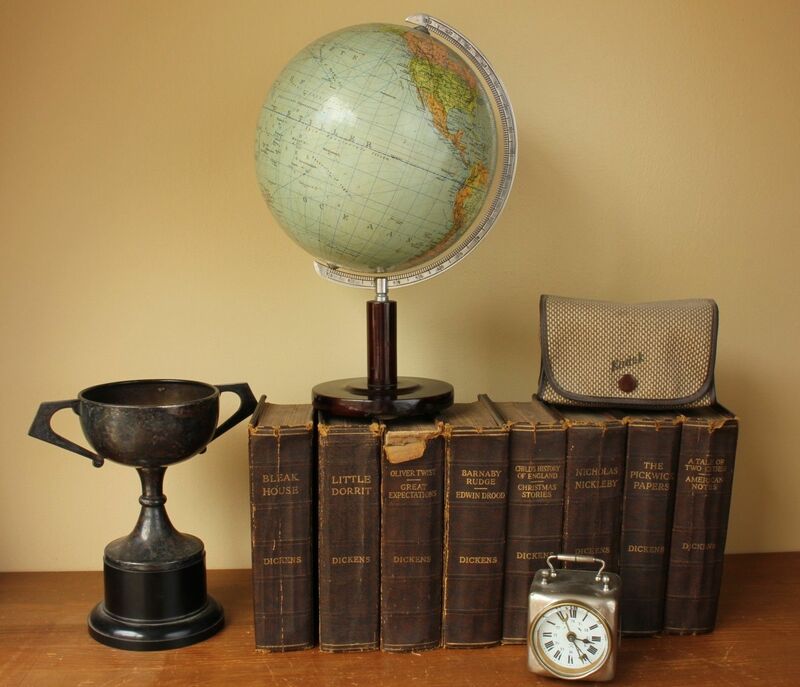 Paul Oestergaard dates from the mid 20th century and is in a nice decorative condition. 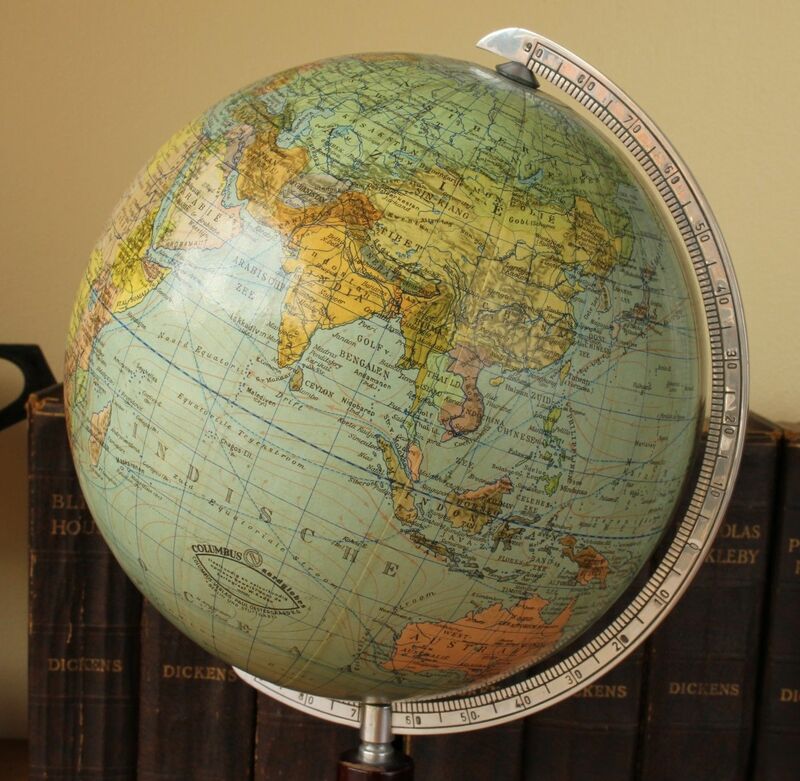 The globe is printed in Germany but is in Dutch language, made of paper / printed card and stands on a wooden base. Size: Total height: 12" - 31 cm. 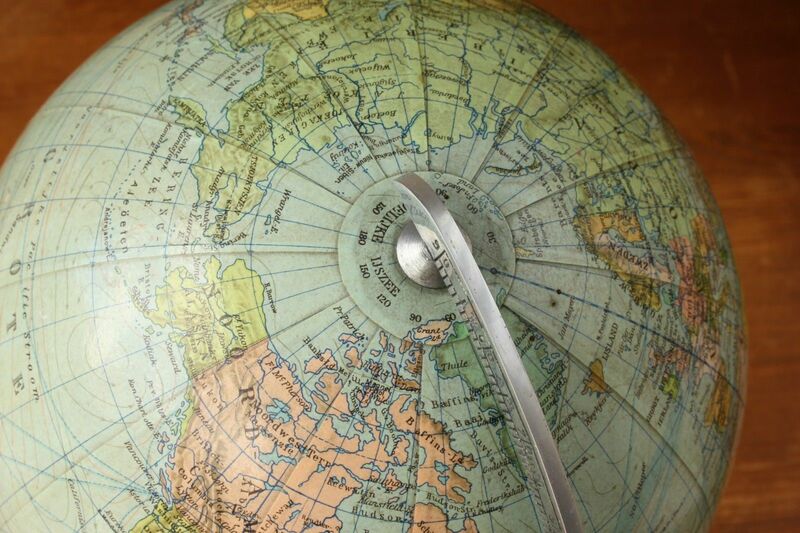 Globe width: 7" - 18 cm. Approx. Condition: Excellent vintage condition. No discolouration, staining, splits or cracking. Please see pictures.